Parfum feminin floral cu note lemnoase, trandafir, condimente si mosc. 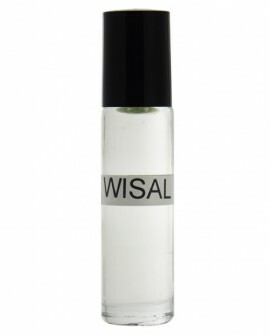 "Wisal" este un parfum concentrat pe baza de ulei, de inalta calitate, nu contine alcool si confera persistenta indelungata.Sticla este prevazuta cu sistem roll-on pentru aplicarea cat mai usoara a parfumului. A creamy, sensual and delicately spiced floral musk perfume with hints of sandalwood. It begins on a strong floral note, however within a few minutes it settles down and you are left with the most gorgeous scent thats lasts for hours. Il port cu placere in perioada hibernala.